The driver was able to get out safely. This is a roundup of all the breaking news from around the Las Vegas valley for July 26, 2018. The Clark County Fire Department responded to a report of a fire at a single story, single family residence located at 7146 Magic Moment Lane, near Warm Springs Road and Eastern Avenue. Upon arrival, personnel reported that there was light smoke showing and that the garage was on fire. Crews made an offensive attack and were able to successfully extinguish the fire. Initial indications are that the fire was in or on the dryer, which was located in the garage. No injuries were reported and all occupants were able to safely exit the building. A dumpster caught fire next to a one-story house on Alameda Avenue, near Nellis Boulevard and Stewart Avenue. Smoke entered the house. No injuries have been reported. 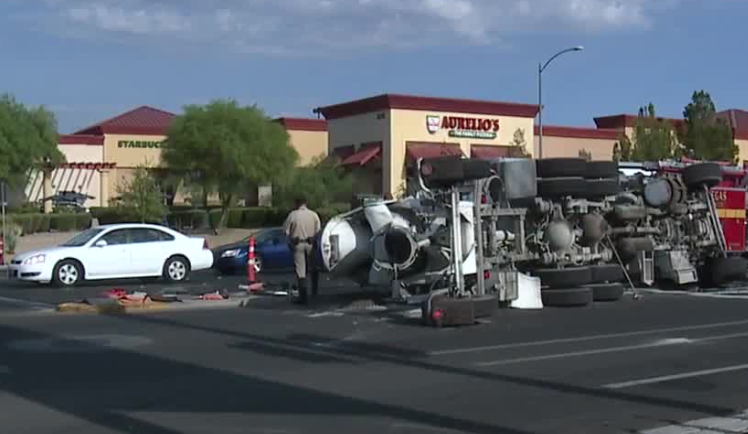 A cement truck has rolled over near Craig Road and Jones. Hydraulic fluid is leaking from truck. A hazmat team is on the way. Road closers may be in effect. 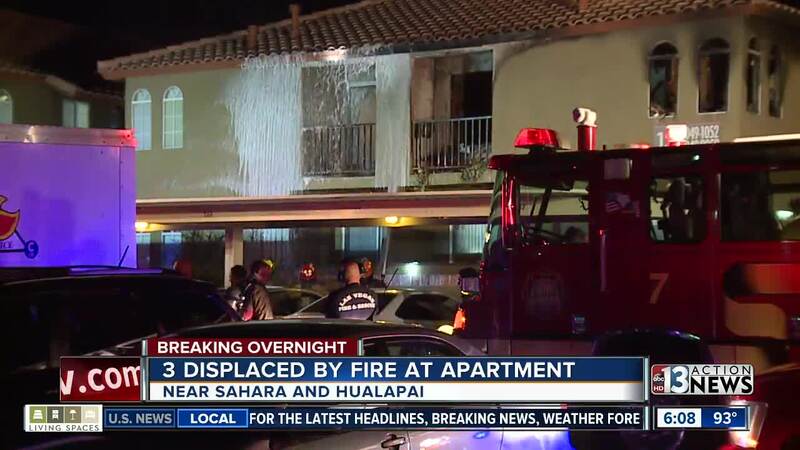 A fire at an apartment complex near Sahara Avenue and Hualapai has left 3 people homeless. An elderly couple was able to escape safely because of their fire alarm. The apartment below their apartment was also destroyed by water damage.